Stampin' & Scrappin' with Stasia: Why I love Stampin' Up! I have to say signing up and becoming a Stampin' Up demonstrator really has been one of the best descision I have ever made. 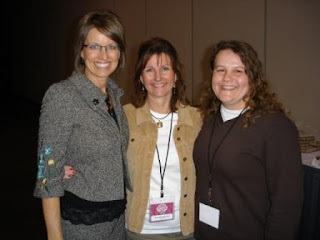 Here's a picture with me, Shelli Gardner, Cofounder and CEO of Stampin' Up and Tina Rosenkrans, my upline at a Stampin' Up regional event. Here is my top five reasons why I love being part of Stampin' Up! 1. Everyone I have meet since I started Stampin' Up. My customers and fellow demonstrators that have become a part of my circle of friends. I am always amazed by the generosity that is displayed with Stampin' Up demonstrators. If you ever need anything there is always a helping hand to help you out. Here's a great story I want to share with you. My sister came with me to a regional convention. We were sitting in the lobby of the hotel. A total stanger comes up to me and asks if I was a Stampin' Up demonstrator and if had any card swap to trade with her. I told her no, unfortunately I was all out. Well that didn't matter she gave me one of her swaps anyway. My sister couldn't believe what just happened. Stampers and scrapbookers are some of the most generous and wonderful people I have ever meet. 2. FREE STAMPS! Yes, you read that correctly. There always seems to be coming in the UPS truck that I earn for free. If you have an order of $150 or more you qualify and can get hostess benefits, so free stamps. Then if you reach a certain milestone or certain number in sales, free stamps. If you get published, yes free stamps! You can also earn free gift cards, products and even trips. I just got a 100$ gift card in the mail. How great is that! 3. 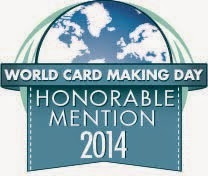 Recognition for my art work and my business. Stampin' Up holds monthly contests where you can submit your artwork and you get published in their quarterly magazine. 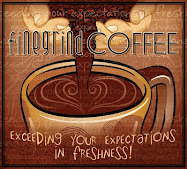 They also pick 3-4 projects daily and recognize them on the Stampin' Up demonstrator website. Click here and you can see some of the projects I have been recognized for. I have also been recognized for my business as well. I have been promoted 3 times. 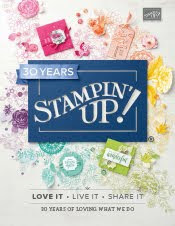 I am a Senior Supervisor with Stampin' Up and I have the most fabulous downline! 4. Never pay full price on stamps! Every order you put in, you automatically get a 20% discount or 20% instant income if someone places an order with you! We also just got a pay increase this year! So the more you sell the more you make! 5. Training! I just got back from the Stampin' Up Convention. 4 days filled with stamping and business tips. My head is swimming with ideas to do. If that is not enough, in September, I am heading to Philadelphia for another Stampin' Up regional event to share the day with friends and learn more tips and tricks. Then in October, there will be another event in Bloomfield, NJ. Not to mention the monthly magazine we receive and the Stampin' Up demonstrator website that has tons of ideas and patterns. But most of all it is the flexibility of the business. I am free to make the business what I want it to be; part time, full time, hobbyist, teacher, event organizer or even a crafter that sells her creations. No matter what road I choose, I know I have many options. That I have to say that is the best reason of all. So I guess that makes it 6 reasons. I actually have lots more I can share with you, so contact me today so I can let you know all about this fabulous opportunity. Thank you for sharing this with us it really inspired me and now because of you I'm really thinking of becoming a stampin up demonstrator.